The MCI have announced the winner of a BikeSafe competition. 44 year old Mark Bourner, from Sussex, has won first prize in a national BikeSafe competition, sponsored by the Motorcycle Industry Association (MCI). The prize was £12,000 towards the bike of his choice. 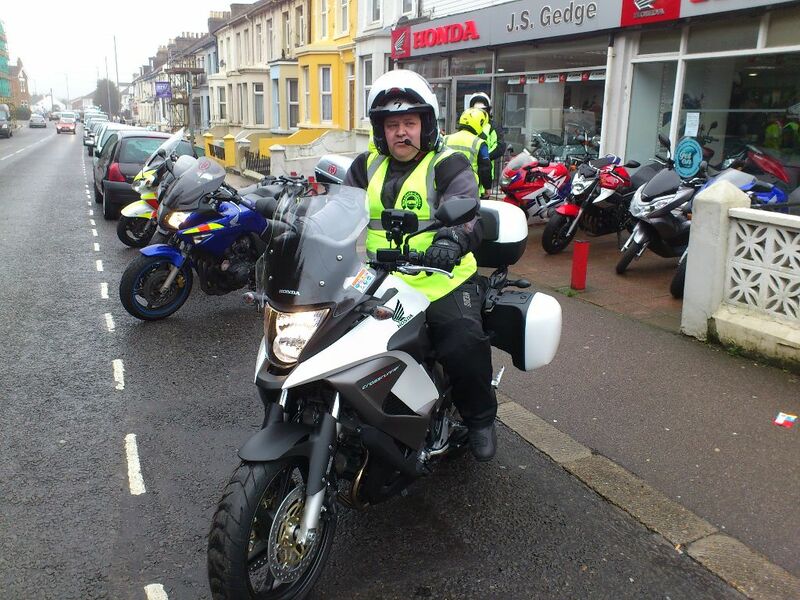 Mark is convinced what he learned on BikeSafe and through subsequent training saved his life, when he was knocked off his bike while working as a volunteer blood courier for SERV Sussex. He took part in a BikeSafe London workshop with the Metropolitan Police a few months earlier. The BikeSafe team who selected Mark as the main winner did not know about his accident when they chose his winning statement: ‘The most important things I have taken from the workshop are safety position and to look at the information around me and not rush in.’ Mark says it was through putting the sentiments in his statement into action, i.e. riding defensively and taking pre-emptive action at the time of his accident, that he was able to prevent anything more serious from happening.